From left to right Princesses Shannon Pitout and Laiken Groom, Queen Shannon Weeks, Queen Attendants Anna Lassiter and Hannah Cole. Congratulations to the Carbondale Wild West Rodeo (CWWR) 2016 Royalty. These young ladies love spending time with their horses and working hard on improving their skills, striving to be their very best representing the CWWR. They are learning more about equine husbandry, poise, and communication skills each day they serve as royalty. They have been active in their community, and have a passion for the western heritage. They are proud to represent the CWWR. Each of the royalty will receive a scholarship award to assist with their education. Once again we have a great group of young ladies who truly represent the spirit of rodeo and community. Design. In my free time I enjoy riding my horses, exploring Colorado and volunteering at Wind Walkers Assisted Equine Therapy. I want to thank my Aunt Diane Teague and the Carbondale Wild West Rodeo for allowing me to live my dreams. Anna Lassiter is your 2016 Carbondale Wild West Rodeo Queen Attendant. On my free time I enjoy barrel racing with my horse buddy and playing basketball with all of my friends. I also really love hunting and spending time with my family on the weekends. I was born and raised here in Carbondale CO, and I have been riding and surrounded by horses my whole life living just down the road from the Carbondale Wild West Rodeo grounds. I am 15 years old and attend Roaring Fork High School. Outside of school you can find me riding my horse, hanging out with my friends or at home with my family. Through out my life I have learned many different riding styles but my heart was always in rodeo. I am overjoyed that I get the opportunity to represent and be a part of the 2016 Carbondale Wild West Rodeo royalty. Hi, my name is Shannon Lawren Pitout. I was born December 16, 2004 in Glenwood Springs, Colorado. I have been raised around horses and have been on horseback since I was a little girl. I enjoy trailing riding, jumping and barrel racing. I competed in my first barrel racing at the Carbondale Wild West Rodeo when I was 4. When I am not riding, I like to sing in the school choir, swim, hike, ice skate, and rock climb. I love all animals!!! When I grow up, I want to be a horse trainer. 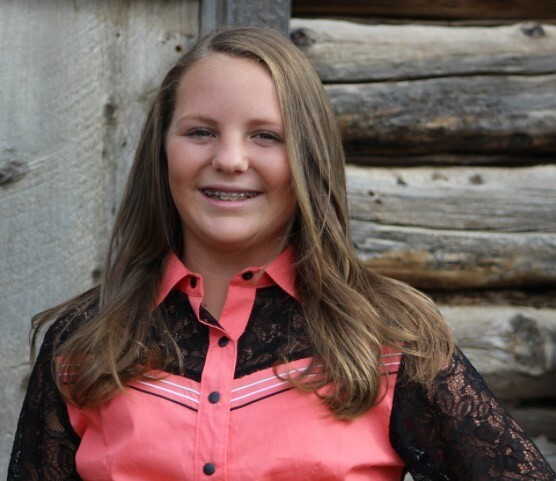 Macee Wilson is one of your 2015 Carbondale Wild West Rodeo princesses. My name is Laiken Ashley Groom. I live in Carbondale, Colorado with my mom Monica, dad Steve, and two brothers, Drake and Dalton. I am in 7th grade at Carbondale Community School. In my free time, when I’m not rodeoing, I like basketball, softball, and volleyball. When I’m not rodeoing at CWWR, I compete in the Colorado State Jr. High Rodeo Association. Some of the events I like to compete in are goat tying and pole bending. I am looking forward to adding breakaway roping to my list soon. This is Maxine Harris' fourth year as the Royalty Coordinator. Maxine graduated from the University of Wyoming in May 2015 with a BS in Equine Sciences. 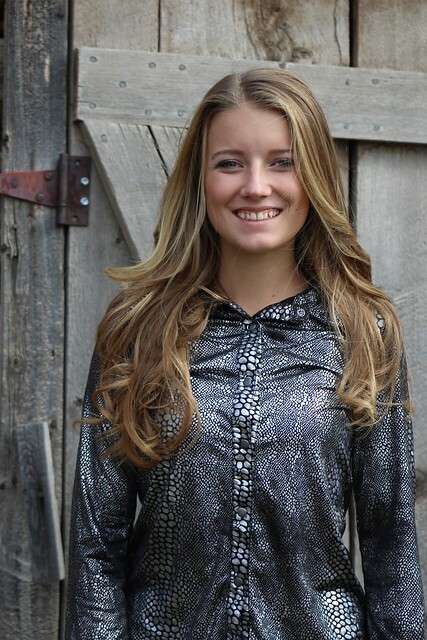 After graduation she started her career in the equine world working for VZ Performance focusing on public relations. She was rodeo royalty for CWWR in 2008 and 2012. 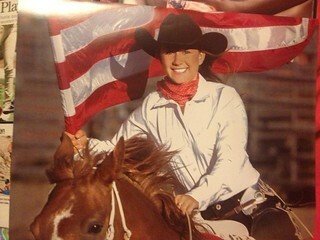 Maxine has also carried the American flag for the Snowmass Rodeo for the past three years. In 2011 and 2012 she carried the Colorado and sponsor flags in Snowmass as well. Maxine competes weekly in the Snowmass and Carbondale rodeos in dally ribbon roping, she is the 2015 Snowmass Rodeo dally ribbon roping runner champion. She also runs barrels on her horse Sumagun. Maxine stresses that a rodeo queen must exemplify many virtues. 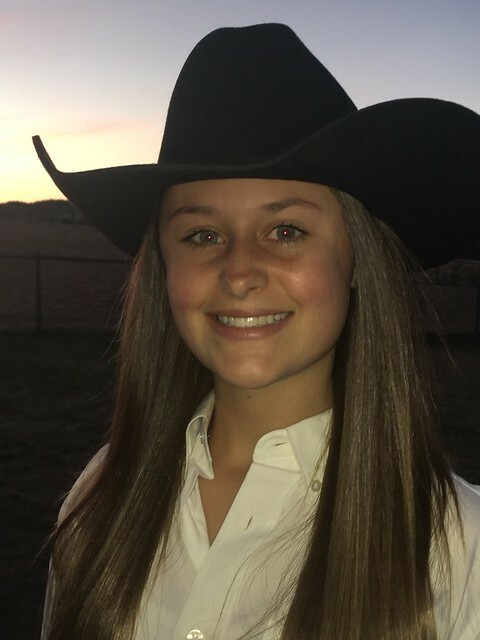 A rodeo queen is held to high standards; she must know how to act and respond under pressure and be a positive role model for other young ladies. A rodeo queen must possess excellent horsemanship skills and is seen as an ambassador for the sport of rodeo. 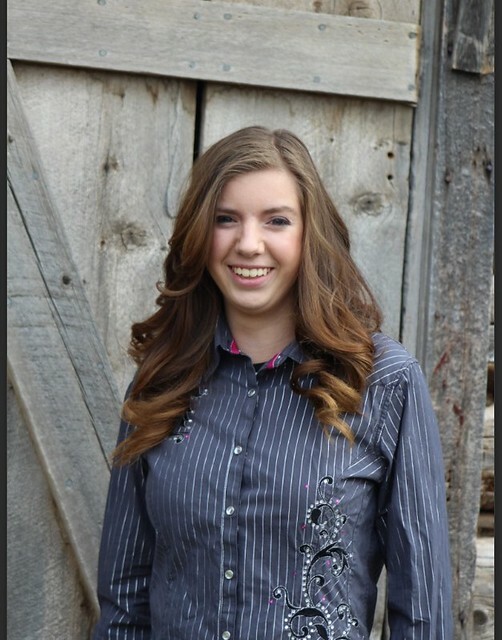 Maxine also states it is a great way meet other equine professionals when you participate in rodeo royalty. Maxine advises young ladies wishing to be rodeo royalty to "Practice like it's the real thing" and have a positive attitude. "I encourage all girls try out, even if they don't think they will win; they may end up surprising themselves". 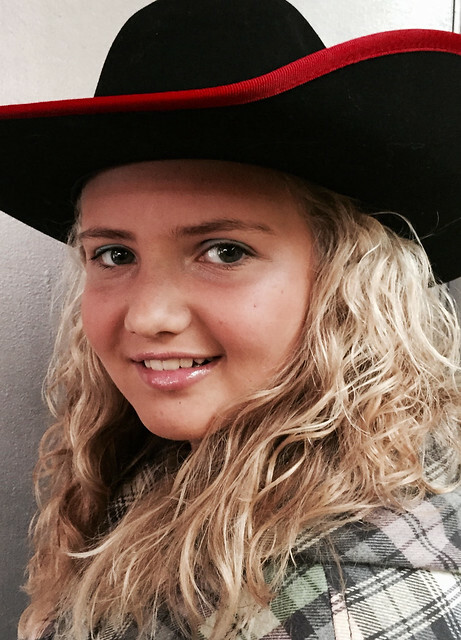 If you see her at rodeos or gymkhanas she encourages girls to ask questions about rodeo royalty. She believes there aren't dumb questions when you're learning a new skill. Tryouts for the 2017 rodeo royalty will be held in September 2016. Contact Maxine Harris at [email protected] for more information.